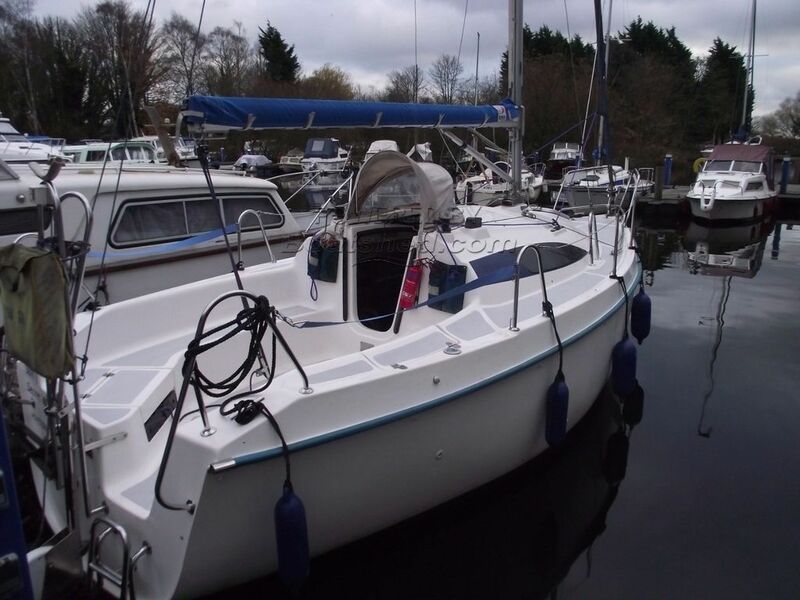 The is a spare mainsail with Lazy Jacks included in the sale. Separate table stored in Aft cabin for use in cockpit. Extremely well presented 2 owner sailing Yacht with lifting keel and stainless steel "A" frame for mast lowerering. The exterior is in very good order and is un marked. There is no evidence of any crazing in the gelcoat. The interior is clean and dry and offers up to 6 berths. She was surveyed in 2014 and has a BSC until April 2021. Powered by a Mariner 4hp Sail drive with extension handle that also controls the throttle to ease close quarter manoeuvring. All lines lead to cockpit for single handed sailing. She really is a cherished example that is very much ready to enjoy. This Sasanka 660 has been personally photographed and viewed by Gary of Boatshed Norfolk. Click here for contact details.